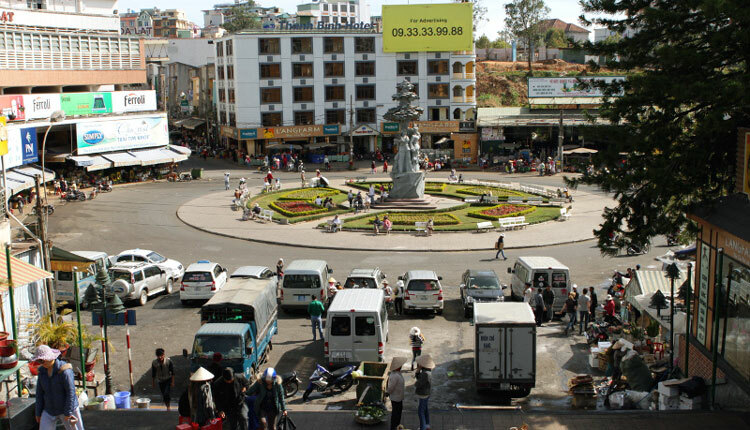 Dalat Market represents the very heart of Dalat City, a shopping opportunity right in the center. Local produce such as fresh artichokes, dried fruits, vegetables and a lot more are available here throughout the day, and in the evening the roads around the market are closed to traffic and the night market of Dalat spills onto the surrounding streets. At Dalat Market, you find the clothing shops upstairs on the first floor. Apart from t-shirts, trousers, pretty dresses and shoes, the greatest difference to other fashion markets is the vast assortment of warm clothing, suitable for the cold nights in the Highlands. Woollen gloves, silk scarves, cozy jackets, hats and boots. Shopping at Dalat Market gives you a feeling of winter sales. Next to the main entrance on the first floor of Dalat Market you find stairs, leading up to two shops. One offers the finest fabric for traditional clothes in the highlands. They also sell linen shirts, embroidered suits, beautiful áo dài and other high quality clothing. The second shop exhibits and sells silk embroidery artwork. Whether you want to buy one of these marvelous designs or not, if you visit Dalat, you should definitely spend like 20 minutes and take a look. It’s beautiful! 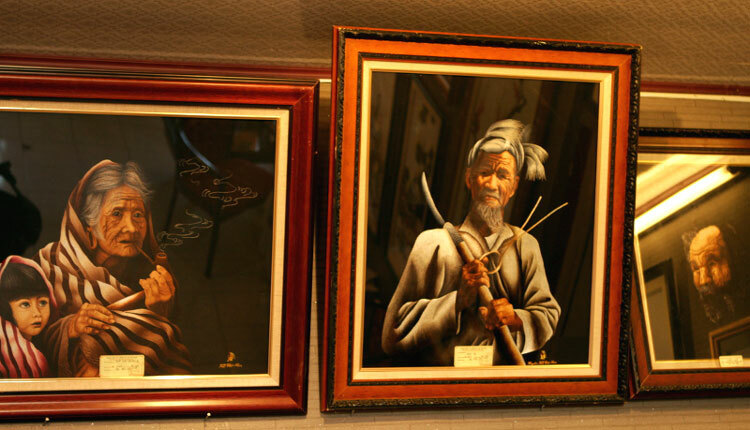 If you are generally interested in silk embroidery, check out XQ Historical Village in Dalat! There is also a manufactory where you can watch people weaving real silk. This is what the Lam Dong province is most famous for: fresh fruit and vegetables. Stalls and shops in and around the Central Market sell avocados, artichokes, strawberries and all the other kinds of edible plants we love so much. The second speciality this market is famous for is the preserved foods. 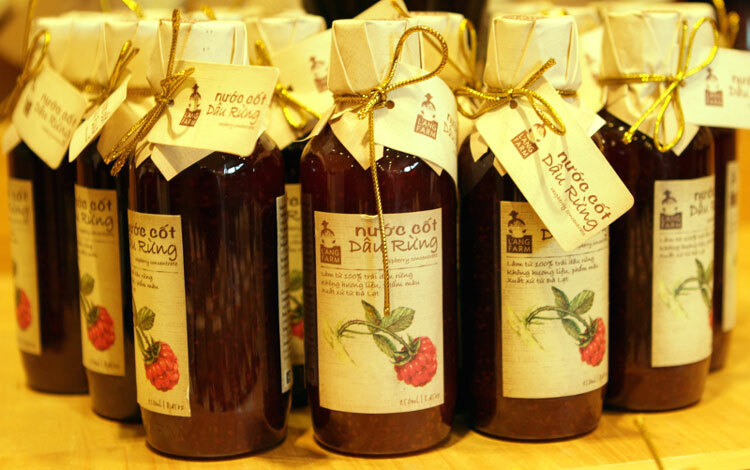 Dried sweet potato chips, marmalades, fruit jams and candy made of local fruit. Candied ginger is very popular as a souvenir or gift for Saigonese tea-nerds, because it goes exceptionally well with good oolong tea. Which brings us right to the next paragraph here. Like in the many shops around the center of Dalat City, they sell teas and herbal infusions at the market . Especially popular is artichoke infusion which is supposed to have great health benefits and tastes delicious, which is a rare combination you know. Many stalls offer small cups and little bites to sample their wares.